Beyond Clipping - more strategies for using coupons. Article states - "If your supermarket saving efforts are limited to Sunday supplements and scissors, you’re not clipping as much off the food bills as you could be." 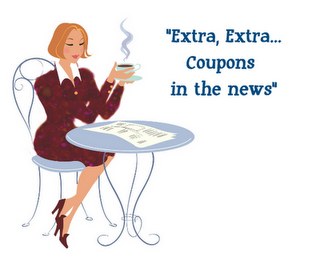 Coupons can expand business - Did you know coupons are 100 years old??? Learn more in this article. Get Organized using the "clipless" method - I use this method and I love it! Of course I have muliple copies of the coupon inserts so there is no way I could clip them all. Read the article for more great tips! Wondering if they are any caravaner's out there among my readers or if any of you have bartered Lean Cuisines for produce from a farmer? Great stuff!